Horncastle Tiles Ltd understands that your privacy is important to you and that you care about how your personal data is used and shared online. We respect and value the privacy of everyone who visits this website, http://www.tiledealer.co.uk (“Our Site”) and will only collect and use personal data in ways that are described here, and in a manner that is consistent with Our obligations and your rights under the law. Our Site is owned and operated by Vyair (UK) Ltd, a limited company registered in England under company number 5171288, whose registered address is26 Ida Road Skegness Lincolnshire PE25 2AR. UK and whose main trading address is Abigate Business Park, Boston Road Industrial Estate, Horncastle, Lincolnshire LN9 6SB. UK. Our Data Protection Officer is Martin Pocklington, and can be contacted by email at martin@tiledealer.co.uk , by telephone on (+44) 01507 524852, or by post at 1 Abigate Business Park, Boston Road Industrial Estate, Horncastle, Lincolnshire LN9 6SB. UK. We will store all personal information and data provided by you on our secure (password and firewall protected) servers. 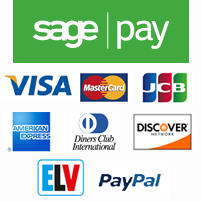 All electronic transactions you make to or receive from us will be handled by PayPal or SagePay. This website is secured by SSL technology, on order to ensure all data is safe. We may share your data with other companies in Our group for ensuring products can be supplied delivered to you. This includes our subsidiaries. The third-party data processors used by Us and listed below are located outside of the European Economic Area (“the EEA”) (The EEA consists of all EU member states, plus Norway, Iceland, and Liechtenstein). Where We transfer any personal data outside the EEA, We will take all reasonable steps to ensure that your data is treated as safely and securely as it would be within the UK and under the GDPR. You have the right to ask for a copy of any of your personal data held by Us (where such data is held). Under the GDPR, no fee is payable, and We will provide any and all information in response to your request free of charge. Please contact Us for more details at sales@vyair.com or using the contact details below in section 13. Before Cookies are placed on your computer or device, you will be shown a pop up/prompt requesting your consent to set those Cookies. By giving your consent to the placing of Cookies you are enabling Us to provide the best possible experience and service to you. You may, if you wish, deny consent to the placing of Cookies; however certain features of Our Site may not function fully or as intended. Our Site uses analytics services provided by Google and Bing. Website analytics refers to a set of tools used to collect and analyse anonymous usage information, enabling Us to better understand how Our Site is used. This, in turn, enables Us to improve Our Site and the products and/or services offered through it. You do not have to allow Us to use these Cookies, however whilst Our use of them does not pose any risk to your privacy or your safe use of Our Site, it does enable Us to continually improve Our Site, making it a better and more useful experience for you. For more information on the cookies we use, please refer to our Cookies Policy.